Models, above all, to communicate. Our main client group is architects and others in the construction industry. We have worked with solo practitioners through to large multinational firms; though our approach is the same whoever we are working with. You can expect personal attention, responsiveness to communications, being kept up to date with model progress, and adherence to deadlines. We understand that a model should complement and enhance your proposal, so it is important to us to achieve an aesthetic that works for you. We will provide a quote, with various options for materials, scales and styles, if desired, as well as extras such as a perspex canopy. Delivery is included in the quote, as is an indicative timescale. Once the spec of the model is agreed, so is the fee, and we normally request 25% of the total to be paid in advance of work commencing. 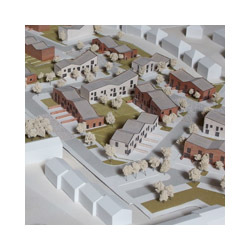 See How to Commission a Three Dimensional Model for further guidance. We’re happy to meet in person to discuss requirements or approach, but this is by no means necessary. 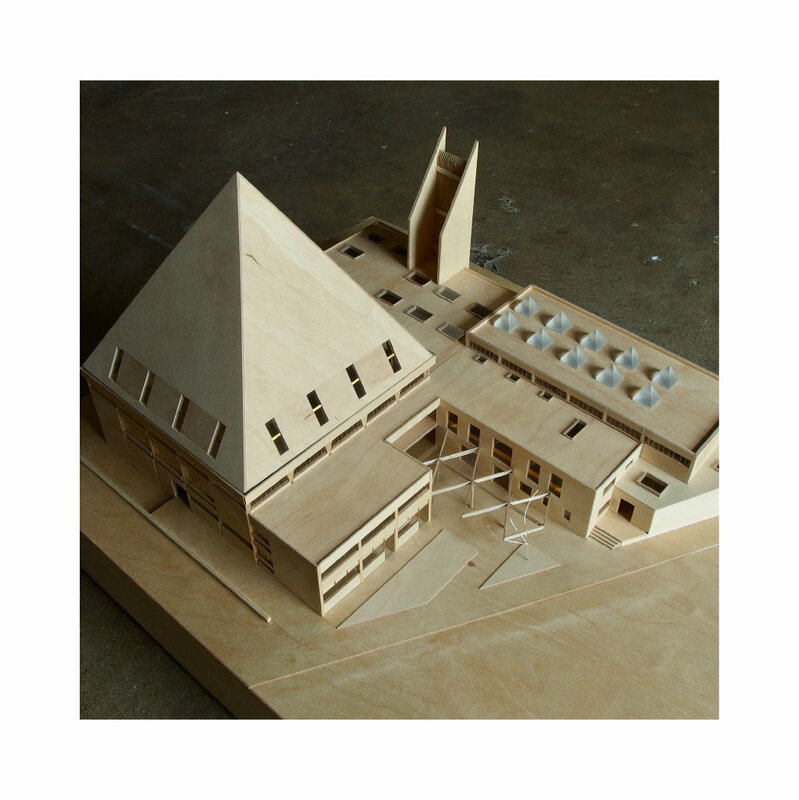 We use materials and techniques that we are familiar with - the majority of a model is made using timber and/or plastics. We utilise some digital fabrication, in particular laser cutting, but find hand-finished work is far superior to anything a machine can do (at the moment!). Once work commences, you will receive photos and updates, and samples of materials or finishes if desired. You are also welcome to visit the studio to see the work in progress. While not always the case, usually we work on only one model at a time, so you can expect your job will get our full attention. 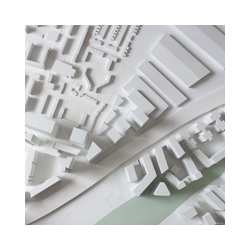 Finch & Fouracre is Franki Finch, a modelmaker with 15 years experience. While freelancers and specialists sometimes help out, all the work is under Franki’s control, so you can expect the highest standard of work.